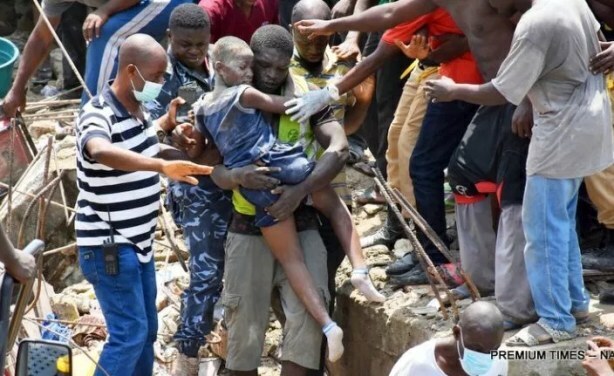 It was a black Wednesday on the 13th of March, 2019, as tragedies struck in two major cities in Nigeria, Lagos and Onitsha. In Lagos, at least 12 people were confirmed died and many more were feared trapped after a building containing a school collapsed. The school, which was on the topmost floor of the four-storey building in Ita Faji on Lagos Island, had more than 100 pupils and about 40 pupils had been pulled out alive, a rescue official told a BBC correspondent. Lagos building officials had earlier said that the building had been identified as “distressed” and listed for demolition. The collapse happened at about 10:00 a.m. local time (09:00 GMT). There were frantic scenes at the site as rescuers and local men searched for survivors, and family members crowded the area in the hope of finding their loved ones alive. 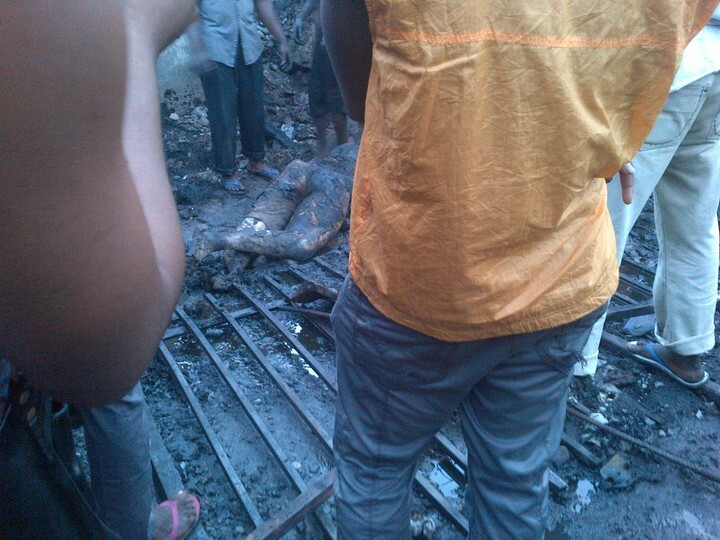 The governor of Lagos State, Akinwumi Ambode arrived the scene of the building collapse on the Lagos Island. The Governor, who came in at exactly 2:45pm, said from the briefing he got from the Lagos State Emergency Management Agency boss, 25 bodies had been rescued so far. At the Lagos Island General Hospital, there was a scene of chaos as parents and family members scrambled after every ambulance that arrived to see if it contained a loved one. Many of the victims brought in were children in school uniforms. Men from the local area were assisting rescuers but large crowds of people were hindering the rescue operation. The Lagos State Building Control Agency confirmed that the building had been marked and listed for demolition. It is not unusual for buildings to collapse in Nigeria; as materials are often sub-standard and the enforcement of regulations is lax. In September 2014, 116 people died when a six-storey building collapsed in Lagos during a service given by a celebrity televangelist. Visiting the hospital, the Lagos state Deputy Governor, Idiat Oluranti Adebule, offered condolences to the families of the victims and called for calm. There have been calls for well-meaning Lagosians to assist the victims by donating blood, cash and other relief materials. In Onitsha, the commercial city of Anambra state, several persons were crushed to death while scores were severely injured in a ghastly trailer accident. 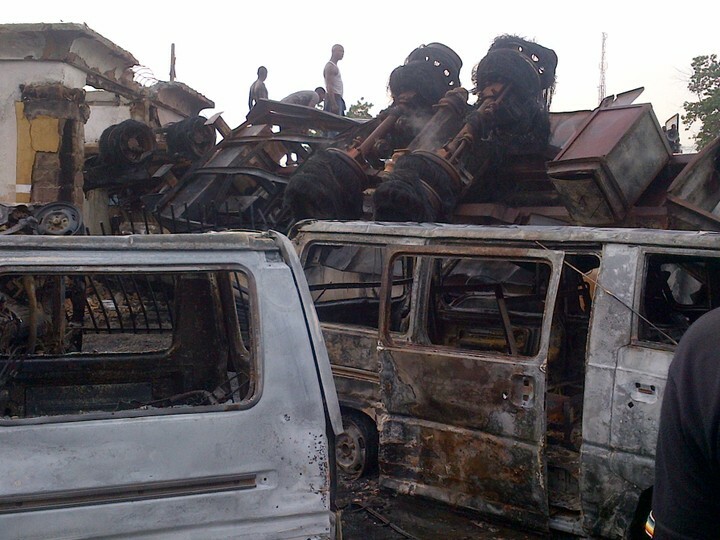 The accident, which happened around Toronto hospital along Upper Iweka and MCC axis of the Onitsha-Awka expressway, involved a trailer laden with kerosene. It was gathered that the trailer was heading towards Upper Iweka from Awka axis when the driver lost control as a result of brake failure. Eye witness account had it that the driver in a bid to control the vehicle veered off the speed lane to the service lane where traders displayed their wares by the side of the road. “The trailer crushed some of the people who are mostly petty traders as it dragged along the road before it finally stopped,” one of them narrated. He said bodies of the victims littered along the way were still being evacuated by security operatives who arrived at the scene almost immediately. Katchy, who said he was on his way back from Awka, when he arrived at the scene of the accident, said officers of the Federal Road Safety Corps and the police assisted in the rescue operation.